Getting signals from the sensors. 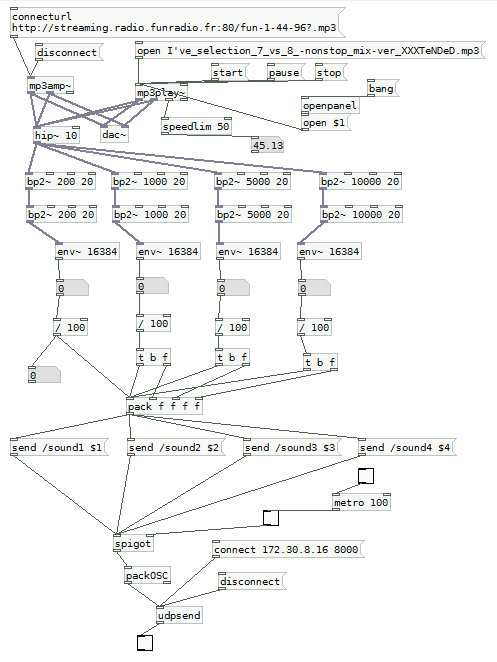 Working on Skemmi to process the signals and to send OSC messages. Adding the “offline mode” (AKA MP3 player) for the internet radio stream program. Test the sensors and choose which parameters to use. Problem with the fluidity of the gyroscope. Our consultant, AERTS Gregory, has coded for us a little program in Pure Data. The program catches an internet radio stream, analyses its frequency. For each of the 4 different ranges of frequency, it sends an OSC message, with a value between 0 and 1, to the Kyma that can be linked to a parameter. UPDATE: We have added the possibility to play a local MP3 file in case of network problem. Testing the sensors and getting signals from its. Working on Skemmi to process the signals. 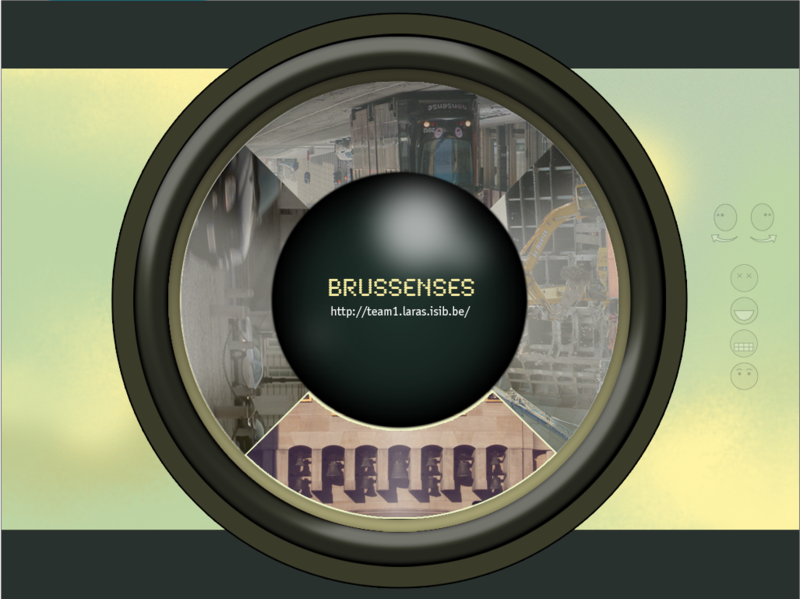 Recording sounds and taking pictures/videos of Brussels (part1). Testing/analyzing/creating the sounds in Kyma X.
Catching an internet radio stream, analyzing it’s frequency and sending OSC messages based on it with Pure Data. Create the sounds in Kyma X. Test the sensors and getting signals from its. Work on Skemmi to process the signals and to send OSC messages. Problem with the serial port.